Here’s a bit of the countryside for you! 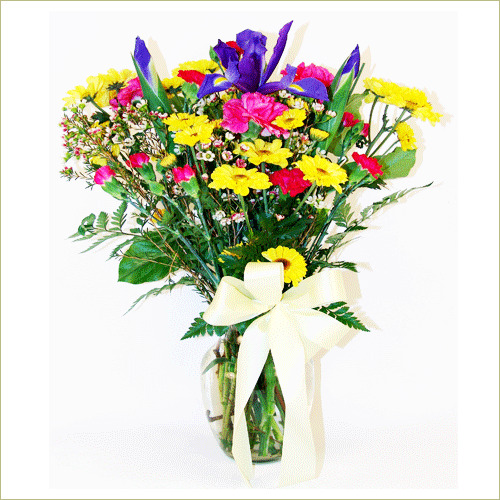 Daisies and deep blue irises cavort with mini carnations . Share some country goodness today.